A talk about the unique position of non-profit institutions in the contemporary art world in Israel, through the lens of their agenda. We will look at various modes of operation, including cooperative projects, residency programs, generosity, and constant examination of the limits of what is permissible and possible. We will talk about what is allowed and what is forbidden in supported municipal cultural institutions, and about what art should do today. Ran Kasmy Ilan, curator, director of the Herzliya Artists' Residence. Kasmy Ilan graduated from Bezalel Academy of Arts and Design, and has over a decade of experience creating and leading multidisciplinary projects, socially engaged art, and informal education. Between 2007 and 2015 Kasmy Ilan was a member of the Israeli Center for Digital Art, where he co-initiated and directed the Jesse Cohen Project - a project of art that operates out of a sense of accountability and comradery with the community in which it exists. 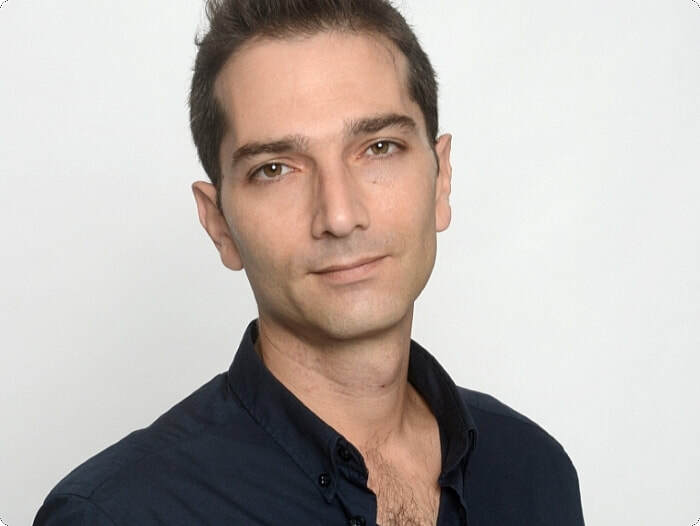 As of 2015, Kasmy Ilan serves as director of the Herzliya Artists' Residence. The Herzliya Artists' Residence is a creative and constantly-changing space that supports the creation, production, display and distribution of contemporary art. To this end it runs artists residency programs, a gallery, and artists’ studios.